Time to spruce up that backyard? Browse through our wide selections of BBQ's and patio furniture or supplies for your new deck and more! The Courtyard Collection™ gives you the exceptional good looks of a "custom wood" garage door combined with the value and long lasting durability of a steel door. Home Heater 120 Black Door Ready to heat your family room or cottage, the Glow Boy wood pellet home heater comes with a 120 lb hopper and large new viewing window. (Black door model shown). Home Heater 120 Pewter Door Ready to heat your family room or cottage, the Glow Boy wood pellet home heater comes with a 120 lb hopper and large new viewing window. Home Heater 120 Gold Door Ready to heat your family room or cottage, the Glow Boy wood pellet home heater comes with a 120 lb hopper and large new viewing window. Home Heater 300 Black Door A perfect compromise for those who want to have day-long heat without having to fill the pellet hopper as often. This model combines the workability of a spacious shop heater with the aesthetic appeal of a home stove. Home Heater 300 Gold Door A perfect compromise for those who want to have day-long heat without having to fill the pellet hopper as often. This model combines the workability of a spacious shop heater with the aesthetic appeal of a home stove. NEW - Corn Burning Heater Dansons listens to their customers! 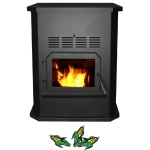 By popular demand, we have developed the industry\'s definitive corn burning stove. (Black door model shown). NEW - Corn Burning Heater Dansons listens to their customers! By popular demand, we have developed the industry\'s definitive corn burning stove. The FireHotTub is a guaranteed jaw dropper at first sight. It allows you to enjoy a hot bath absolutely anywhere by using natural firewood to heat the water. Enjoy it in your backyard or take it camping in the snow; the possibilities are limitless.